Peter Rodgers represents individuals in trials involving personal injury, medical malpractice, product liability, wrongful death and business disputes. His work in medical malpractice has involved cardiac, neurologic, obstetrical, orthopedic, vascular and infectious disease lawsuits including the failure to diagnose cancer, heart disease and infectious disease. Peter has represented patients who are victims of surgical error and emergency room neglect. He also has represented those injured or killed in auto, premises and workplace accidents. Peter is a Fellow of the American College of Trial Lawyers. He is listed in Best Lawyers in America and New York Super Lawyers. He received the Best Lawyers’ distinction of “Lawyer of the Year in Medical Malpractice – Plaintiffs” in 2013 and 2017 for Rochester, New York. He is an Advocate in the American Board of Trial Advocates. Peter has served as a Trustee of the Monroe County Bar Association and as Chair of the Courts Committee. 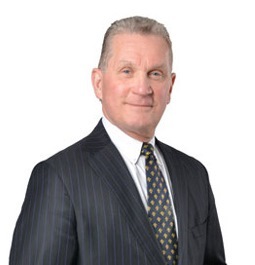 He is a member of the American Association for Justice and the New York State Trial Lawyers Association, and is a past president of the Genesee Valley Trial Lawyers Association. Peter was appointed as the Chair of the Attorney Grievance Committee of the Seventh Judicial District by the Appellate Division, Fourth Department and served in that capacity from 2002 until 2005.